Saint Petersburg (Russia) July 12 (IANS) Former England striker Alan Shearer said on Thursday that the FIFA World Cup play-off for the third and fourth places was a stupidity after his national team lost their semi-final to Croatia. 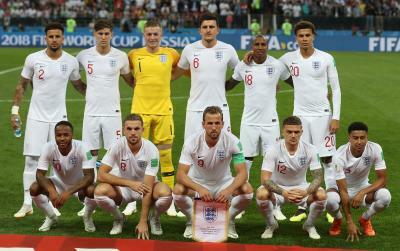 England who crashed out of the tournament on Wednesday evening in a clash against Croatia will face off against Belgium on Saturday in a game to decide who finishes third and fourth respectively reporta EFE news agency. "Third and fourth place play off game is utter stupidity. Last thing any player wants " tweeted the English football legend. Besides playing for England between 1992-2000 Shearer had stints at Southampton Blackburn Rovers and his home side Newcastle United. He had some words of encouragement for coach Gareth Southgate s team following its 2-1 defeat: "Far exceeded expectations. Well done England and well done Gareth Southgate you have been brilliant."